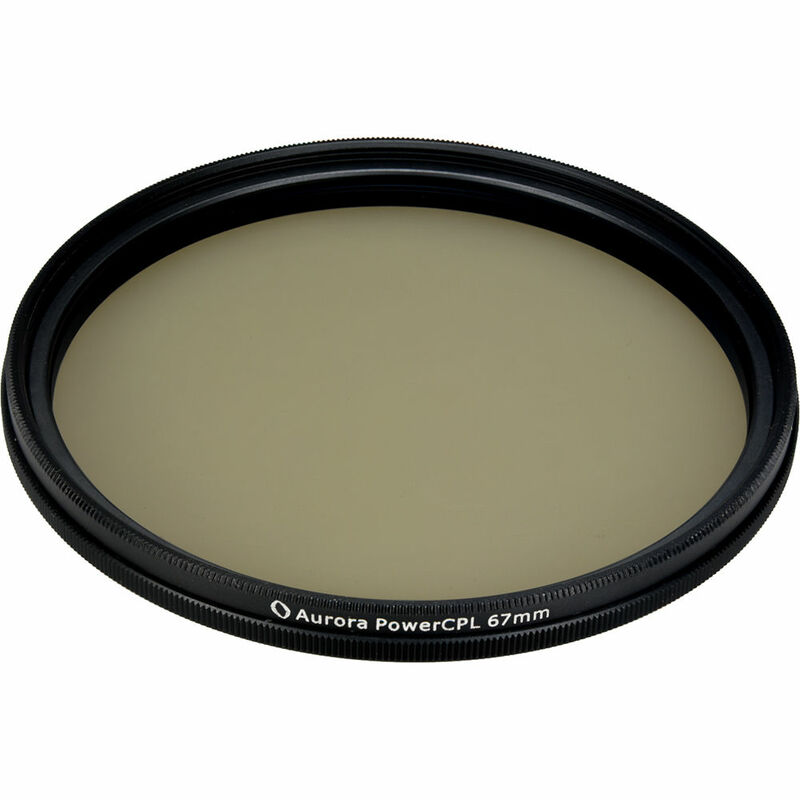 Filter out polarized light and saturate the skies and foliage in your pictures with the PowerCPL 67mm Gorilla Glass Circular Polarizer Filter from Aurora-Aperture. This 67mm circular polarizer filter is notably durable while still retaining excellent image quality. The ability of this PowerCPL to filter out polarized light makes it useful for achieving effects that are difficult to achieve in post-production. It saturates vegetation and makes skies look more blue while reducing reflection from non-metallic surfaces such as water and glass. What sets this product apart from other polarizing filters is its material. The Gorilla Glass construction makes this filter far tougher than ones made of regular glass. It is resistant to scratching and shattering, making it ideal for use with high-end gear in risky situations. Other features of this filter include a multi-layer coating with nanotechnology for reducing flares and ghosts, and repelling water, oil, and dust. Through polishing and quality control tests, this filter achieves accurate color reproduction and a high resolution. An anodized aluminum frame with a 5.3mm thickness makes this filter easy to remove from the lens while keeping vignetting to a minimum. A wide-temperature-range lubricant is applied to the filter for smooth and dampened rotation regardless of temperature. Box Dimensions (LxWxH) 4.3 x 4.3 x 0.5"